The University of Denver Women’s Lacrosse team was picked to finish second in the Mountain Pacific Sports Federation after collecting 31 points in the 2011 MPSF Women’s Lacrosse Preseason Coaches’ Poll, the MPSF announced today. Stanford collected the maximum totals of 36 points with six first place votes to earn the top spot. The Cardinal has won the last six MPSF Championships, making NCAA Tournament appearances in 2006 and 2010. 2010 regular season conference winner and tournament runner-up Denver placed second in this year’s poll with 31 points and one first place vote. Denver returns 17 student-athletes, including all-conference honorees Kara Secora (2010 MPSF Newcomer of the Year), Lauren Ciccomascolo, Tulley Stapp and goalkeeper Ashley Harman, from a squad that finished 13-5 overall in 2010 with a 6-0 sweep of the MPSF during the regular season. California and Oregon tied for third place in the MPSF ranking, followed by UC Davis, Saint Mary’s and Fresno State. The Pioneers begin their season at Jacksonville on Feb. 18. Denver’s home opener features St. Mary’s on March 4. 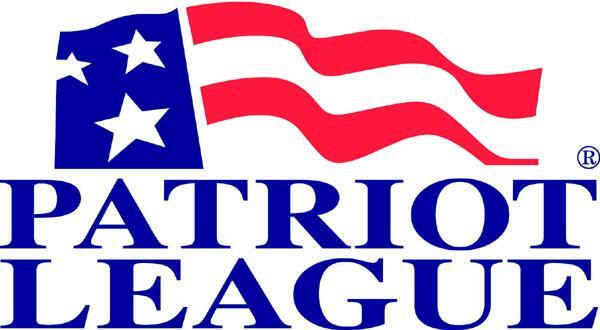 CBS College Sports Network will televise at least 11 Patriot League men’s and women’s lacrosse contests during the 2011 season. In addition, CBS College Sports Network will televise the Patriot League Women’s Lacrosse championship game for the first-time ever. The women’s championship game is slated for Saturday, April 30 at 3 p.m. The first of the eight men’s contests to be televised is Navy hosting in-state rival Maryland on Friday, April 8 at 7 p.m. at Navy-Marine Corps Memorial Stadium in Annapolis, Md. Next is the annual Army-Navy tilt, which this season will hail from Annapolis on Saturday, April 16 at 2 p.m. That will mark the first of two consecutive days in which the network will show a men’s contest involving a Patriot League team. One day later on Sunday, April 17 at 12 noon, CBS College Sports Network will televise the North Carolina-Lehigh game from Goodman Stadium in Bethlehem, Pa.
Patriot League Men’s Lacrosse Semifinals, at the highest seed, 5 p.m./7:45 p.m.
Patriot League Women’s Lacrosse Championship, at the highest seed, 3 p.m.
Patriot League Men’s Lacrosse Championship, at the highest seed, 3 p.m.
Cal officials, while respectful of fundraising efforts, have shown little public inclination to reverse their decision. One source close to the situation described a “wall of silence” from the school in providing details to those interested in saving the programs. Chancellor Robert Birgeneau announced the cuts Sept. 28, as a way to save nearly $4 million annually. The athletic department had a $12 million operating deficit in the most recent fiscal year; money from student registration fees and the chancellor’s discretionary fund covered the gap. Given university-wide layoffs and cutbacks in this tumultuous economic climate, faculty members pressured Birgeneau to make similar sacrifices in athletics. The school ultimately decided it must limit its annual contribution to the athletic department to $5 million starting in 2014. The university previously established Monday’s deadline, including it in an informational posting on the athletic department website. Many of the 163 affected student athletes need resolution as they contemplate whether to stay in Berkeley or transfer. As this plays out behind the scenes, baseball coach David Esquer tries to point his team toward its upcoming and potentially final season. Three players left Cal at the semester break, transferring to UCLA (pitcher Eric Jaffe), Penn State (pitcher Joe Kurrasch) and Fresno City College (infielder Brett Bishop). That leaves 35 players about to start practice as a final decision on the program’s fate nears. And if the school announces it’s still cutting the sports? “That would be an emotional hurdle for our guys,” he said. Air Force Men’s Lacrosse vs Towson Tigers in 2010 Fall Ball.